Attorney General Kamala D. Harris today announced defendants who ran a national loan modification scam were ordered to pay more than $4 million in penalties and restitution, including $2 million to consumers who were falsely promised modifications of their mortgage loans. More than 1,000 customers paid more than $2 million for loan modification services to Statewide Financial Group, Inc., which did business as US Homeowners Assistance and Webeatallrates.com, and was based in Orange County. In July 2009, the Attorney General’s office shut down the business, which had been in operation since January 2008. The Orange County Superior Court ordered that every US Homeowners Assistance loan modification customer should receive a full refund upon request. The defendants were also permanently enjoined from engaging in the conduct that led to the lawsuit and were ordered to pay $2 million in civil penalties. It is unclear, however, how much money will be recovered and available to pay refunds or penalties. The prosecution of this action took nearly three years, culminating in a multi-week bench trial in March 2012. The business’ owners, Zulmai Nazarzai and Hakimullah Sarpas and Fasela Sheren (who went by the name Sharon Fasela), were all found liable for violating California’s Unfair Competition Law and False Advertising Law. In a separate proceeding in late 2010, Attorney General Harris successfully prosecuted Nazarzai for contempt of court for his refusal to turn over $360,000 unlawfully taken by defendants as ordered by the court. He has been incarcerated in the Orange County jail since December 2010 because of his continued refusal to comply with the court’s order. 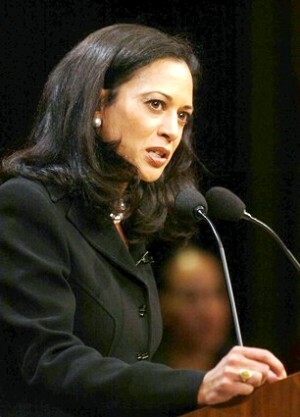 Attorney General Harris formed the Mortgage Fraud Strike Force in May 2011 to investigate and prosecute crimes and wrong-doing related to mortgages, foreclosures, and real estate. The prosecution of this action is part of Attorney General Harris’ ongoing efforts to protect homeowners, which also includes the national mortgage settlement and the California Homeowner Bill of Rights. Copies of the court’s judgment and statement of decision are attached to the online version of this release at www.oag.ca.gov. No Comment to " Attorney General Announces Judgment in National Multi-Million Dollar Mortgage Scam "